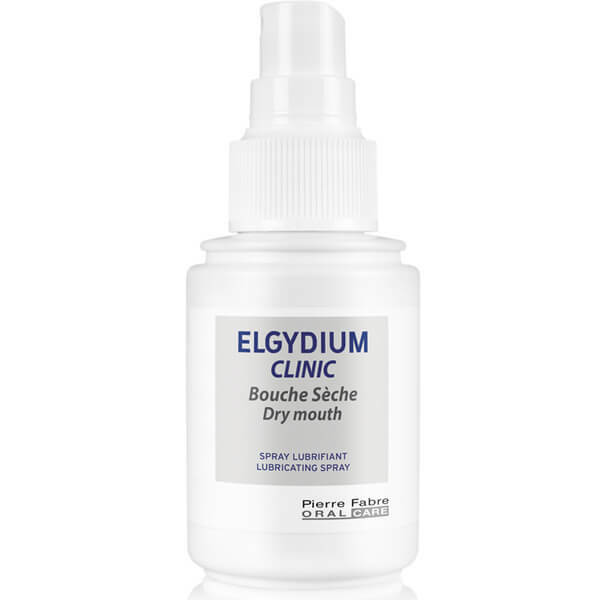 Pierre Fabre ORAL CARE Elgydium Clinic Dry Mouth Spray is a lubricating formula that helps combat mouth dryness whilst promoting oral health. 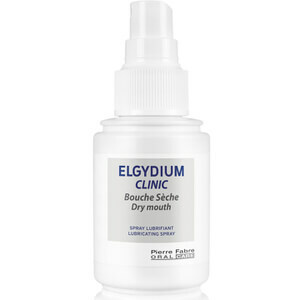 Utilising a patented Mouth Lubricating Complex that forms a humectant barrier on the inside of the mouth, the spray expertly relieves feelings of discomfort associated with dry mouth, and protects from demineralisation* with its dose of Xylitol. Expect a comfortable, lubricated mouth with improved oral health. Free from alcohol, parabens, SLS and artificial colours and fragrances. nutrition to teeth to help prevent cavities. 3 sprays per application (1 inside of each cheek and one on the tongue). To use as often as needed, maximum 8 times per day. Do not use for pregnant or breastfeeding women and children. Eau Purifiée, Glycérol, Povidone, Hydroxystéarate de Macrogoglycérol, Extrait de Guimauve, Alcool, Benzylique, Phosphate Disodique, Phosphate Monopotassique, Copovidone, Sorbitate de Potassium, Xylitol, Gomme Xanthane, Chlorure de Potassium.